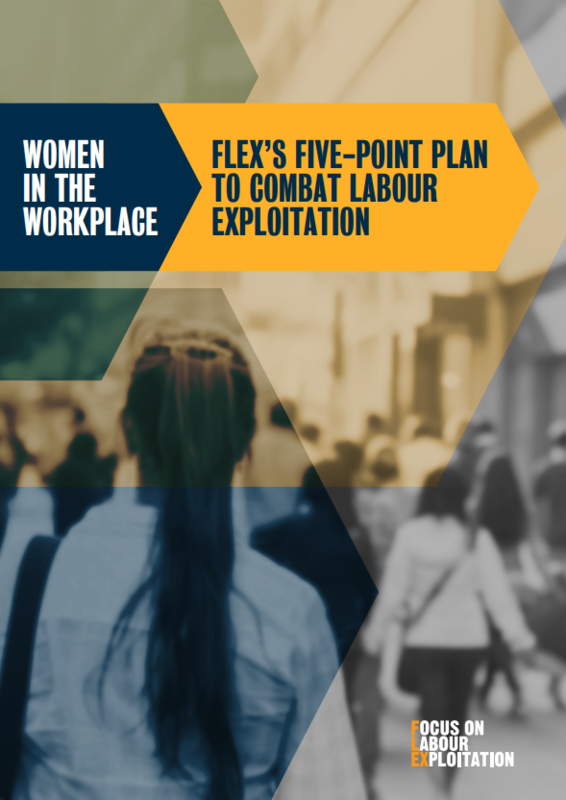 string(1187) "Resource Centre > Uncategorized > Women in the workplace: FLEX’s five-point plan to combat exploitation"
The aim of this guide is to help labour market enforcement agencies to build a gender-sensitive approach to tackling labour exploitation. It outlines the specific problems faced by women workers in high-risk feminised labour sectors such as cleaning, care, hospitality and domestic work, and sets out practical steps for UK labour inspectorates to take as they broach such sectors. How should they reach the most at risk women workers? How can they gain women workers’ trust? How can they detect the true extent of labour abuses when workers fear reporting? In sectors traditionally dominated by women workers, such as cleaning, hospitality, care and domestic work, it is important to understand both women’s experiences in the workplace and the particular risks of abuse and exploitation that affect women workers. This is crucial to identifying and preventing non-compliance across the spectrum, from labour abuses to modern slavery. This guide provides an overview of the discrimination, employment practices and labour abuses that drive exploitation of women workers in highly feminised sectors. It sets out key principles and actions to form the basis for targeted, gender-aware labour market enforcement policy and practice. Women workers are not inherently in need of protection on the basis of their gender, but are at risk of exploitation when their rights are abused. Therefore, the protection and enforcement of women’s rights at work is critical to preventing exploitation of women workers.